Who can resist a rocking chair? It reminds us of our childhood when our parents lulled us to sleep or you rocked as high as you could. Now you simply relax and rock yourself into daydreams of distant paradise resorts and happiness beyond measure. Rocking has to be the ultimate way of relaxing. In fact, a rocker base on Harcourt’s much-loved and extremely comfortable 500-series shell chairs provides incredible comfort. 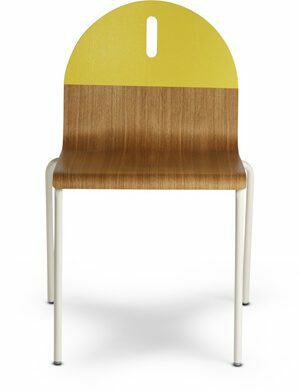 The shell chairs in this series, each of which has its own characteristic upholstery, are already great on a fixed base. Now that the original rocker base has been restored to its place of honour, they are absolutely irresistible.